Missing or permanently lost luggage is the nightmare of every traveller, who will welcome any innovation and developments in smart luggage technologies. An important step in this process tracking innovation in smart luggage is to work with leading technology companies. 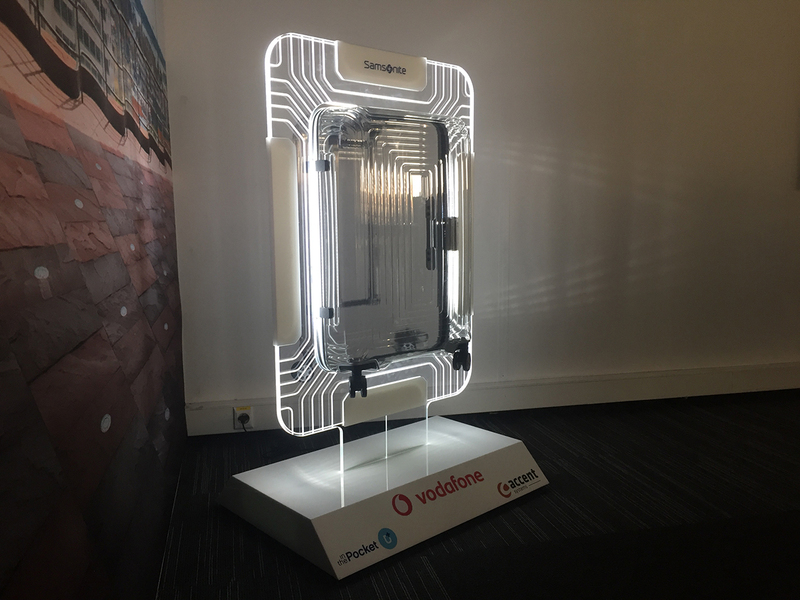 Samsonite is trialling a new, longer battery life, wider range technology called Narrowband-IoT (NB-IoT) with Vodafone, as an additional option for their Track&Go solution. Track&Go is a device that can be put into your travel or business bag, and can easily and privately be tracked by its owner. The new NB-IoT technology will allow a new generation of telemetry tags to be built which are less intrusive and more efficient, using less power to accommodate smaller batteries with a longer life. The Track&Go solution is based on two principles: proximity alerts and geolocation. Thanks to the proximity alerts integration, you will instantly receive a smartphone notification when your bag is out of your range. This will enable you to confidently leave your luggage in the dedicated compartment, while still enjoying your trip without any stress. This new proof of concept test with NB-IoT will look into the future possibilities of geolocation. It would make it possible to track your valuables, anytime, anywhere. In case your bag gets lost, you will be able to see its current location and the necessary contact details to get your belongings back, if applicable. Since technology is changing constantly, research and development of user-centred solutions and new technologies such as these will help the travel industry achieve their goal when it comes to mishandled bags and further improve your travel experience. The travel industry is very sensitive to safety and security and service providers need to be compliant with all airline regulations in place, while bringing a reliable solution for the consumer. This innovative solution is supported by Accent Systems, who will develop the hardware, and from our mobile agency In The Pocket for the app integration.